While Paris enjoys a reputation as the culinary capital of the world, finding a value meal in this city can be a real brain twister. If there’s one thing I’ve learned after eating my way through the Parisian restaurant scene over the last couple of years, it’s that often the best French meals are kept simple and don’t cost a fortune. If you keep happening upon restaurants where the ballyhooing doesn’t match the bill, then it’s high time you learn how to eat à la bonne franquette. Consider the Paris bistros below as a perfect starting point to a fuss-free and delightful culinary journey that will offend neither the palate nor the wallet. 42, rue Coquillière, in the 1st Arrondissement. 01 42 36 69 11. Open for lunch, Mon–Sat, 11:30–3:30 p.m.; dinner, Tues–Sat, 7 p.m.–10:30 p.m. This bistrot du quartier packs personality in every bite. From the mayonnaise to the parmentier de canard, rest assured that the chef Jean-Loup has prepared everything on your plate from scratch. Since opening in 2010, this little bistro’s premises have become a meeting point of sorts for the entire Coquillière neighborhood, just west of les Halles. From the loyal habitué stopping in for a coffee and a quick chat to the savvy foodie lured in by the fresh and delicious fare, everyone leaves smiling. With two- and three-course lunch menus, at 14 and 19 euros, respectively, and stellar service, it’s hands down one of the best deals around. The menu changes often (as it should), but you’ll never go wrong with a good steak served along side the heavenly homemade fries. The wine, which comes from handpicked local producers, is à la ficelle—you only pay for what you drink! If you like what you see, check out the bistro’s slightly fancier sibling in the 7th Arrondissement. 3, rue Sainte-Beuve, in the 6th Arrondissement. 01 45 49 10 40. Open Tues–Sat, noon–2 p.m. and 7:30 p.m.–10:30 p.m. 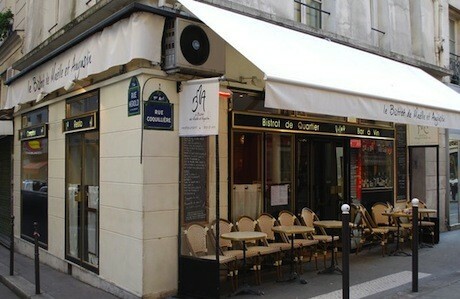 Despite its minuscule size, this petit Paris bistro makes a huge impression. The Anglophone owner and chef Chris Wright may not be a native speaker of French, but he sure understands the meaning of eating à la bonne franquette. A touch creative, he’ll serve you quail on a bed of Granny Smith applesauce or sprinkle capers into a pork terrine without blinking. But he never allows extravagance to spoil an otherwise perfect meal. A solo waitress tends to the dozen or so tables stuffed into this tiny space, complete with an open kitchenette where patrons can watch the chef work his magic. In the spirit of a true foodie, Wright pays daily visits to the local markets before devising his decadent menus. 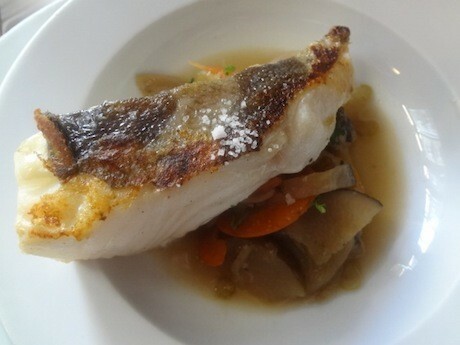 With three courses ringing in at only 24 euros, what’s not to love? 125, rue Saint-Antoine, in the 4th Arrondissement. 01 42 74 18 12. Mathieu, the young owner of this rustic Paris bistro facing the vibrant Saint-Paul metro stop, proudly boasts about l’Eléphant du Nil’s 100 percent traditional and 100 percent homemade fare every chance he gets. 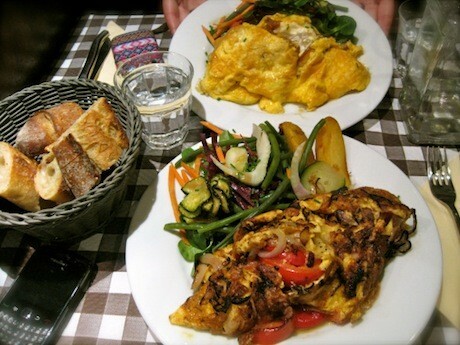 With a titi parisienne in the kitchen whipping up a mean menu à la grand-mère, and a team of servers working the clientele à l’ancienne, this bistro delivers an authentic experience in the heart of the Marais without the usual price tag. Try the yummy confit de canard while indulging in some serious people watching on the side. Unfortunately, the wine isn’t mind blowing, but the good food, friendly service and great location certainly hit the spot. For insider deals on restaurants, bars, and wine and champagne tastings in Paris, get the GO-Card and enjoy the luxe life for less. Learn more about the Go-Card and where to use it.